The International Living Future Institute (ILFI) is a non-profit organization that promotes regenerative design and administers building certification programs such as the Living Building Challenge and the Net Zero Energy Building certification. ILFI developed the Reveal label as a simple, graphical tool for project teams to publicly disclose the energy consumption and renewable energy use of a building. ILFI is currently using the Zero Tool to generate baselines, targets and scores for use in the Reveal label. Building Energy Quotient is a building energy rating program that provides information on a building’s potential/designed energy use and/or operational energy use. 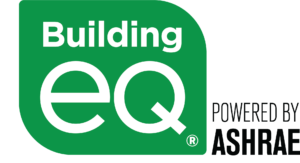 Building EQ was developed by ASHRAE, a not-for-profit organization of engineers and other specialists dedicated to the advancement of building technology for the public’s benefit. Building EQ rests on ASHRAE methodologies and standards and the experience of qualified practitioners. ASHRAE is now using the Zero Tool as one of the methodologies to generate baselines for rating projects.